Introducing the long awaited integration with Xero – an amazing accounting software for small businesses. You can use Xero to manage invoicing, reconciliation, accounts payable and bookkeeping. 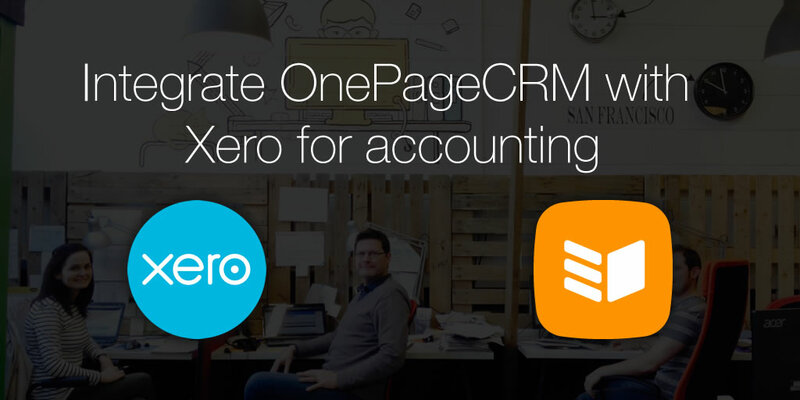 Once you connect our two apps you will be able to create a draft of an invoice right from within OnePageCRM! It’s a huge time saver as all the contact details, deal name and value will go directly into your Xero account. Moreover, if a customer already exists in Xero we will detect this and assign the invoice to it. Integrating the two apps is simple. First of all, you will need an account with Xero – if you don’t have one already you can sign up for a free trial here. Then go to the Apps & Integrations page in OnePageCRM, click Install and then the Connect button. Xero will ask you to grant OnePageCRM access to your account – once you click Authorise you will be redirected back to your OnePageCRM account and the integration will be activated. You’ll notice a Xero icon just within your Deals section, once the integration is set up. 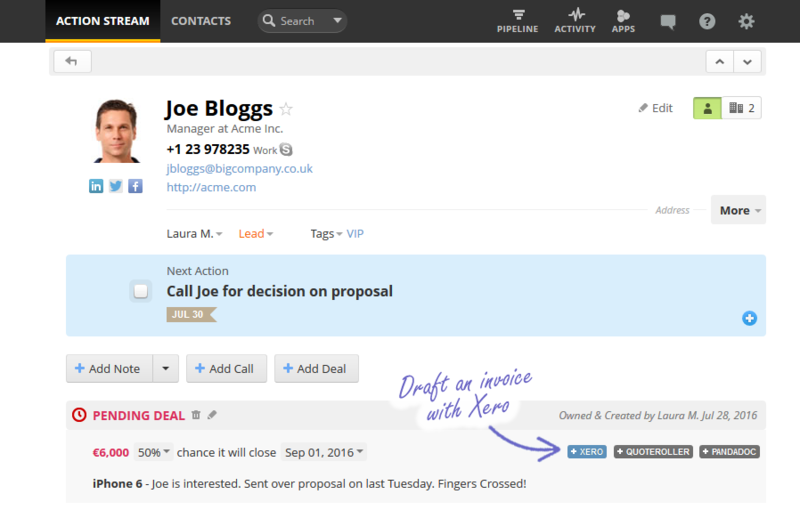 When clicked, a pop up appears asking for invoice details – enter all relevant information and click Send to Xero. Then hey presto, you’ve just created a draft invoice with all customer data sent to Xero. Simple isn’t it? Watch the short video guide below to see how to easy it is to setup and use this integration. And of course let us know what you think!